On May 14th, Tencent announced that it has been awarded the smart network-linked automobile road test license issued by the Shenzhen Municipal Government. This means that Tencent’s self-driving cars can be tested on the designated road sections in Shenzhen. According to reports, the Shenzhen traffic control department issued only one license and issued it to Tencent’s automatic driving laboratory. The specific test road section will be announced after demarcation by the government agency. After the test road section is confirmed, Tencent Autopilot will conduct automatic driving tests according to the government-demarcated road sections. 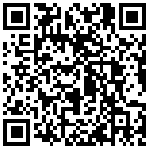 Tencent’s automatic driving is affiliated to the Tencent Mobile Internet Business Group. Tencent’s vehicle alliances, Tencent location services, and Tencent maps all belong to the same business platform. As a result, Tencent’s autopilot will also open up various business modules internally, forming richer and deeper relationships with partners. Cooperation mode. In addition, Tencent Autopilot will also integrate Tencent platforms such as Tencent Cloud, Tencent Security, Big Data, and Artificial Intelligence, to help the development of smart travel. This year marks the first year of Tencent’s product launch. It will focus on promoting the landing of L3 products and conduct technical exploration on L4 and L5. Tencent hopes to have a long-term and in-depth cooperation model with its partners in the future. This model will allow the two parties to carry out more forward-looking and open cooperation in the areas of infrastructure, information systems, and artificial intelligence. At present, Tencent’s automatic driving has started cooperation with a number of car companies, and is also committed to providing services to owners in the production car as early as possible. At present, Tencent already possesses the complete qualification for independent acquisition, production and operation of high-precision maps. Tencent's high-precision maps are affiliated to Tencent's automatic driving laboratory, and the laboratory will lead the testing, development and service of high-precision maps. This year will complete the production of 200,000 kilometers of closed road vector maps for major cities and backbone networks in China. In 2019, it plans to achieve a total coverage of 200,000 kilometers. According to reports, Tencent has been actively deploying in the field of smart travel. In the second half of 2016, Tencent established the Tencent Autopilot Laboratory, and the laboratory convened domestic and foreign experts in the field of automated driving in 360° looking around, high-precision maps, and point clouds. The frontier fields such as information processing and fusion positioning have all been tried and explored. 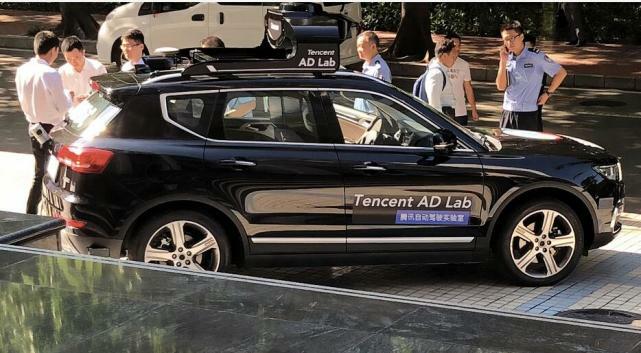 Tencent’s autonomous driving laboratory also assumed the task of Tencent’s accumulation of a full set of core technologies and traction cooperation between production, teaching and research in the driverless field. Tencent has four core capability advantages in the area of ​​automated driving: artificial intelligence algorithms, high-precision maps, data platforms, and simulation systems. Fourth, an integrated 3D simulation and closed loop simulation system can generate a variety of typical road scenes based on live image acquisition. Tencent's positioning in the field of automated driving is "a complete software and service provider for autonomous driving systems." Tencent hopes to make a solution for autopilot and do a good job of "connectors and spare parts" to provide the most effective digital interface. And toolbox to help the development of smart transportation and smart travel. Tencent’s automatic driving will also link Tencent’s car fleet with active and in-depth cooperation with government agencies and traditional car companies, providing partners with a more open, innovative and sustainable smart solution.